CHICAGO (WLS) -- The FBI is offering a $10,000 reward for information leading to the arrest of a Chicago man wanted for a murder two years ago in south suburban Dolton. 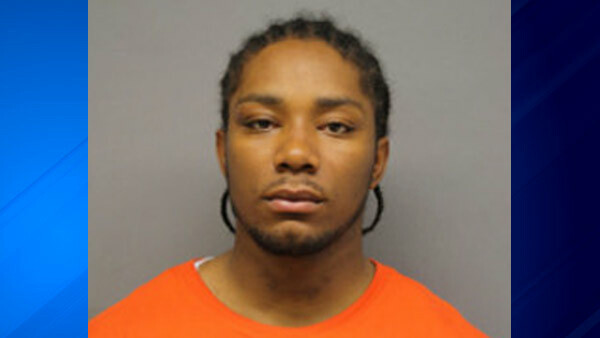 Tyrone Smith, 24, who had a last known address in Chicago, is charged with first-degree murder, according to the FBI. An arrest warrant was issued on Oct. 30, 2015. Smith goes by several other names including "King Bo," Tyrone J. Smith, Tyrone J. Smith, Jr., Tyrone Smith, Jr., Tyrone T. Q. Smith, and Tyron J. Smith. Smith is wanted for the shooting death of 39-year-old Tyrone D. Smith on Oct. 25, 2015, in the 14100-block of South Chicago Road in Dolton, according to the FBI. A law enforcement source said the two men are not related, despite sharing the same name. The wanted Smith is described as a 5-foot-9 to 6-foot-2 black man, 140-200 pounds with black hair and brown eyes. He should be considered armed and dangerous, according to the FBI. The FBI is offering a reward up to $10,000 for information leading to his arrest. Anyone with information should call the FBIO at (312) 421-6700. Sun-Times Media contributed to this report.